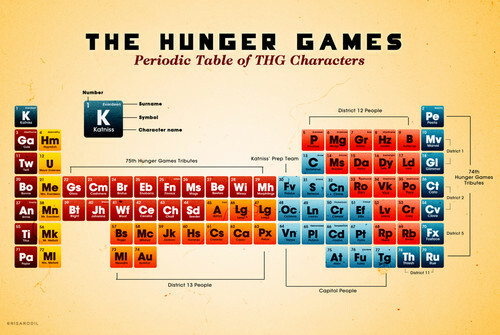 Periodic times 표, 테이블 of The Hunger Games characters. . HD Wallpaper and background images in the Peeta Mellark club. You didn't have Cinna. Still, though, it was pretty cool. Cinna is there - number 32, Cn. You have to zoom into it to read most of the names.